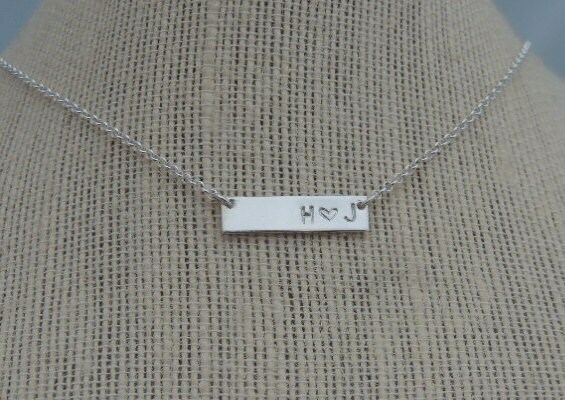 The necklace is made with your choice of solid sterling silver or gold filled metals. 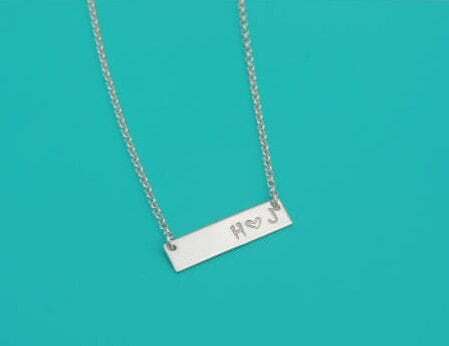 The horizontal bar measures 1/4" x 1"initials position on the bar (right, center or left). 2. Please choose your initial position (left, center, right) from the second drop down menu. 3. 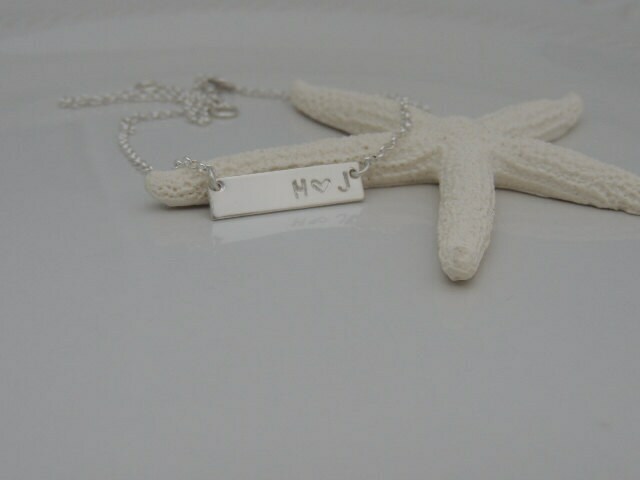 Please leave me a comment in the "notes to seller" section at checkout with the initials you would like hand stamped.